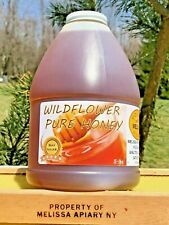 100% HONEY Wildflower, 5 lbs USA Grade -A- Pure Natural Delicious Honey! Buy raw honey! Our honey contains pollen. (GMO and Gluten Free). What to do with honey Crystallization •If your honey has crystallized, you can make it smooth and golden once again. Wildflower White Honey- Pure Raw 100% Natural from Kyrgyz Mountains. The White Honey has a number of health benefits among all ages (above 1.5 y.o.). Among health benefits, this honey. Have you ever tasted honey from the heart of Central Asia?. This honey is never heated or filtered thus preserving all the natural benefits. The honey is a mixture of honey the bees produce from different flowers growing wild in Florida. This is no joke. It is 100% pure US honey. 30ct/ 0.36oz each/ 11oz honey per box. Honey Spoon "Wildflower Honey " for Tea and Coffee. Light, airy and floral, our wildflower honey is made from the sweet nectar of Balkan wildflowers. Just peel and stir to add the deliciously light sweetness of mountain wildflowers to your favorite hot beverage. Plastic Classic Honey Jar BPA FREE with Squeeze Top Lid & Safety Sealed Liner. Honey's phytonutrients are responsible for it's antioxidant properties, as well as its antibacterial and anti fungal power. Sainfoin Floral Honey- Pure Raw 100% Natural from Kyrgyz Mountains. Have you ever tasted honey from the heart of Central Asia?. Extracted from sainfoin wildflower, the honey has a rich creamy consistency and a sweet flavor. Pure, raw, unfiltered, never heated, and never blended Tupelo Honey from the swamps of southern Georgia. Most Tupelo Honey is blended down and is not pure, this is absolutely unadulterated from the source. If you are not satisfied with the product, we will happily refund your cost. Also, not sure why the listing is showing stuff about Nature Nate's or whatever. This has nothing to do with nature nate's whatsoever. Natural Siberian Honey is used to treat angina, rhinitis, laryngitis, tracheitis and acts as a fortifying agent with its strong antibacterial properties. Siberian honey is scientifically proven to have anti-bacterial properties. We are a Small Family operation. The people that have told us they don't like honey take one taste and they are all of a sudden addicted! Non pasteurized and non heated. The Rawest form. Straight from the hive. This honey is wildflower honey freshly extracted. This honey is never heated or filtered thus preserving all the natural benefits. The honey is a mixture of honey from Florida blossoms and is now primarily from Florida Everglades and wildflowers growing in the wild Florida pine-lands. DO NOT FEED HONEY TO INFANTS UNDER 1 YEAR of AGE. We have several bee hives in the front yard and our bees have been very prolific collecting the most aromatic honey. This is a residential neighborhood that borders a nature preserve. Buy Raw Honey! Our honey contains pollen. ( GMO and Gluten Free). The Beekeeper. Do not feed honey to children under 1 year of age. Do not refrigerated honey, it must be kept at that temperature. 1 - 24oz (1.5lb) Squeeze Bottle of Raw Georgia Honey. This honey is light and sweet and is harvested from my hives in Middle, GA. My honey is only extracted and strained before being bottled. Perfect on-the-go treats! 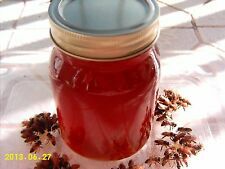 Natural wildflower honey (honey is naturally organic). Delicious snack for kids! Ingredients: Natural Wildflower Honey. Includes 10 Honey Sticks. California Wildflower Honey has a collective taste from all the wildflowers. Wildflower Honey is slightly darker than most other honey because it contains a large amount of pollen, antioxidants and minerals. Siberian Raw Flower Honey from Altai Mountains 100% Organic. Unheated, Unprocessed, Unfiltered, Unpasteurized. This honey is wildflower honey freshly extracted. This honey is never heated or filtered thus preserving all the natural benefits. The honey is a mixture of honey from Florida blossoms and was produced in South Florida next to the Florida Everglades in a non-agricultural area free of pesticides. Boxtrading’s Naturals raw wildflower honey is a pure, all-natural, and healthy. Boxtrading's Naturals will never overharvest or mix honey with other ingredients (like fructose, agave or corn syrup)! Raw unprocessed honey fresh from Austin, Texas. This honey has a rich dark amber color and is very sweet. I garden organically and have never used chemicals anywhere near or in my hives. I've been a beekeeper for over 15 years and support native habitats and wildlife including our local bee populations. We have several bee hives in the front yard and our bees have been very prolific collecting the most aromatic honey. The bees forage the flowering trees (black locust, cherry trees), bushes (blackberry, honeysuckle), and a variety of wild flowers. We ensure honey's natural goodness is preserved in every comb of honey. We would not have it any other way, and neither should you! When you eat a chunk of comb honey you know it's pure, just as the bees intended. This Raw Star Thistle Honey is a rare honey produced in the northwest United States. The nectar from the star thistle blossom produces a light delicate tasting honey. This is a highly sought after honey. We have several bee hives in the front yard and our bees have been very prolific collecting the most aromatic honey. This is a residential neighborhood that borders a nature preserve. The bees forage the flowering trees (black locust, cherry trees), bushes (blackberry, honeysuckle), and a variety of wild flowers. Wildflower Pure Honey Raw and natural . From North Carolina. Pint Jar. 22 ounces. Beautiful Amber color . Enjoy our raw wildflower honey in this tiny 3 oz. Perfect for weddings and gifts! Honey is produced in most of the countries of the world. Honey can be used without any side effects for any kind of disease. -I just received my honey! I opened the container and took a spoonful and wow, it tasted like nothing I have ever tasted! Our Antioxidant Raw Honey is the finest honey straight from the beekeeper. It is creamy, smooth, and spreadable with a taste that is utterly extraordinary! Our wildflowers honey is made by bees out of nectar that they collect from wild flowers that grow east of Clovis, CA. ORGANIC Fresh Raw Honey from Brazil 100% Unfiltered Bennett's Honey Farm is a family farm operation. Similar to wine tasting, you will find that each honey has it's own personality and bouquet. We strive to give detailed information regarding each product. This honey is wildflower honey freshly extracted. This honey is never heated or filtered thus preserving all the natural benefits. The honey is a mixture of honey from Florida blossoms and is now mostly from the Everglades wildflowers. ORGANIC AAA Wildflower PA. Honey Pure raw unfiltered !! US SELEER !! Fresh Raw Honey from California 100% Unfiltered Bennett's Honey Farm is a family farm operation. Similar to wine tasting, you will find that each honey has it's own personality and bouquet. We strive to give detailed information regarding each product. Mountain Wildflower. Buy raw honey! Our honey contains pollen. (GMO and Gluten Free). USA Grade -A- Pure Natural Delicious Honey! What to do with honey Crystallization •If your honey has crystallized, you can make it smooth and golden once again. Most honey will crystallize eventually if it is truly raw, taste does not change, just a different texture. Raw/natural honey never expires. Our honey does contain small amounts of pollen and wax that eventually makes its way to the top of the containers. Honey foam is delicious. Wild Fields and Forest Honey from Lithuania. We never feed our bees with any type of sugar or any other artificial substances. So we produce only 100% natural, best quality honey. 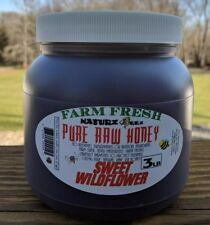 Organic Wildflower Raw White Honey 100% Pure. This is from our farm in Galway, NY.Condition is New. Shipped with USPS Priority Mail. Beekeeper’s Naturals raw wildflower honey is a pure, all-natural, and healthy. Beekeeper’s Naturals will never overharvest or mix honey with other ingredients (like fructose, agave or corn syrup)!